When planning for litigation, compliance audits, or internal investigations, unforeseen and hidden costs can often destroy legal budgets. 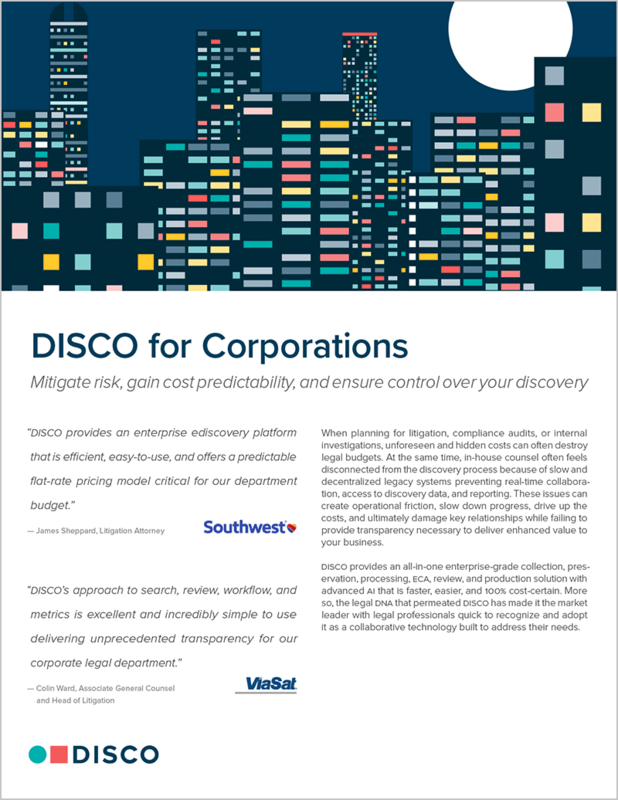 At the same time, in-house counsel often feels disconnected from the discovery process because of slow and decentralized legacy systems preventing real-time collaboration, access to discovery data, and reporting. These issues can create operational friction, slow down progress, drive up the costs, and ultimately damage key relationships while failing to provide transparency necessary to deliver enhanced value to your business.